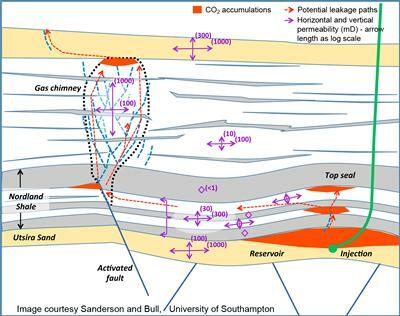 The NERC-funded Characterisation of Major Overburden Leakage Pathways above Sub-sea floor CO2 Storage Reservoirs in the North Sea (CHIMNEY) project is investigating the risks of leaks from storing carbon dioxide (CO2) under the seabed. 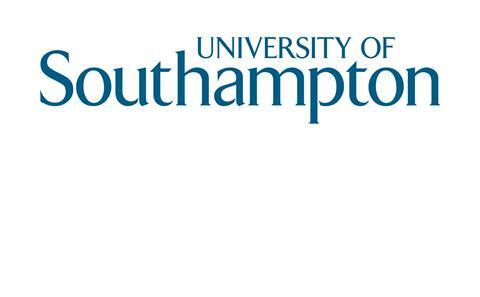 CHIMNEY involves investigators from the University of Southampton, National Oceanography Centre in Southampton (NOC), and University of Edinburgh. These investigators will work closely with project partners GEOMAR, Lawrence Berkeley National Laboratory, CGG and Applied Acoustics. Ocean bottom seismometer from the UK pool about to be deployed. Academics from the University of Southampton, the University of Edinburgh, and the National Oceanography Centre (NOC) are working together to understand more about the hazards involved in the storage of CO2 in depleted oil and gas reservoirs and saline aquifers in the North Sea. Carbon Capture and Storage (CCS) is recognised as an important way of reducing the amount of CO2 added to the atmosphere, and oil and gas reservoirs and saline aquifers are the preferred storage location of most European nations. However, the safety of such storage is dependent on fully exploring the risks of any leakage. 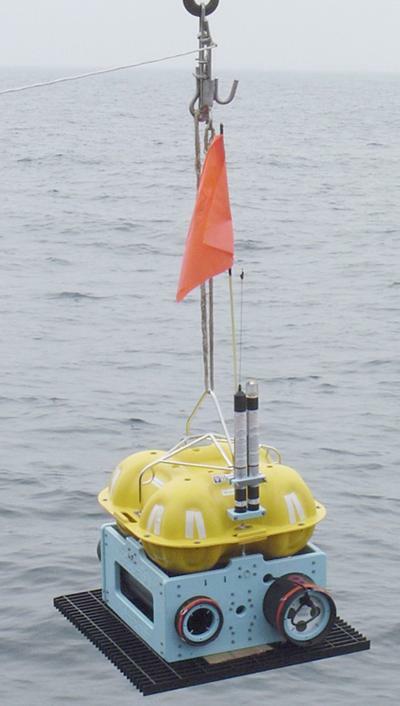 The four-year CHIMNEY project is developing better techniques to locate these sub-sea floor structures and determine the permeability of the pathways so that they can be better constrained and quantified. The team is also working closely with GEOMAR, in Germany; the Lawrence Berkeley National Laboratory, in California; CGG, in the UK; and Applied Acoustics, in the UK. The project is complementary to the EU-funded Horizon 2020 project STEMM-CCS. Vertical seismic anomalies (Karstens and Berndt, 2015) - "Chimneys". Researchers will undertake a major fieldwork programme in 2017 to a chimney structure in the North Sea, where they will carry out a unique geophysical experiment to determine the internal structure of the chimney. The team will utilise drilled samples of the chimney for analysis to help calibrate the seismic measurements of the chimney structures and determine their permeability. The research trip aboard the Royal Research Ship (RRS) James Cook in August-September 2017 will involve a novel broadband seismic anisotropy experiment over a North Sea chimney in order to understand its structure and origin and derive fracture geometry and topology. The ambitious and challenging research project aims to understand the characteristics of the fracture system within the chimney and whether these fractures are open or closed in order to estimate the permeability of the chimney and its surroundings. Understanding geophysical signatures of CO2-brine injections. The Rock Physics Laboratory at the National Oceanography Centre in Southampton (NOC) will underpin and enhance the interpretation of the data from the seismic anisotropy experiment of the North Sea chimney. Researchers at the laboratory will analyse some of the drilled rock samples and will make and analyse synthetic rock samples with aligned fractures to generate data that may help constrain chimney and surrounding rock permeability. The team also aims to establish accurate fracture density and orientation of the samples. Researchers will investigate the chimney structures to try and find out for how long and when fluid was flowing through them. They will carry out a geochemical characterisation of the chimney sediments and pore fluids to help determine the source of the fluids and gases that have been or are flowing through the chimney system, and try to establish where these fluids and gases have come from. 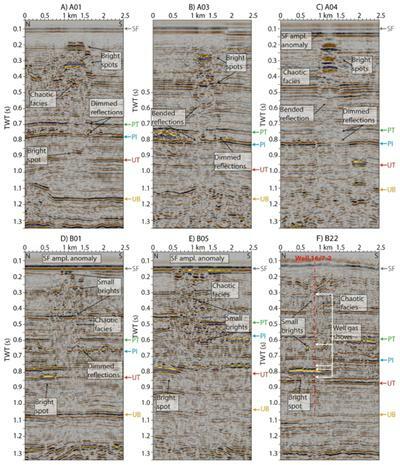 This data will enable the CHIMNEY team to assess the connectivity between the chimney and the deeper stratigraphic layers. 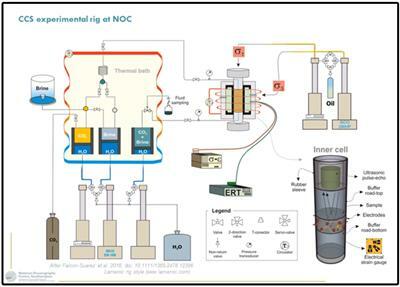 Conceptual flow system for an area around CO2 injection. The research team from Southampton and Edinburgh, together with collaborators at the Lawrence Berkeley National Laboratory in California, will use all the data generated by the CHIMNEY project to model the potential CO2 fluxes and fluid flow through the chimney structures. The overall aim of the CHIMNEY project is to determine permeability within North Sea sediments, and discover how changes in the permeability distribution and boundary conditions affect CO2. The project outcomes will be used to evaluate the overall risk of leakage and any potential environmental impact.